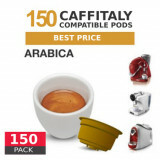 Great value - New Capsules suitable for use with Caffitaly, K-fee and Verismo system! 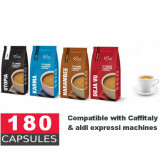 Capsules are compatible with all MAP, Woolworths and Gloria Jean coffee machines using Caffitaly system and Caffitaly Pro System including, all Luna models, all Bella models, all Capo models, all Quartz models, Bianchi office coffee machine and G10 - Expobar Double Capsule Machine coffee machines. In addition, Capsules are also compatible with Aldi Xpressi (K-fee) system and Starbucks Verismo system. 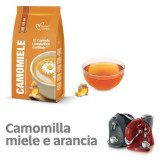 Orange Camomile Tea by Italian CoffeeA very delicate honey chamomile Tea with a hint of orange. A healthy and relaxing drink, suitable for the whole family to enjoy at any time of day. 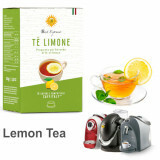 A real anti-stress...These self-sel..
Best Espresso Lemon TeaLemon Tea is a refreshing drink. A pleasant citrus note mitigates the aroma of tea. 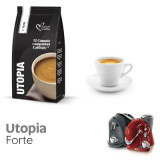 Ideal for those who want to exploit the properties of this tea without sacrificing taste.Beverage you can B.. 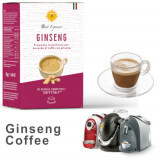 Thanks to ginseng coffee’s beneficial properties, it is ideal to enjoy at any time of day as an alternative, energising and rejuvenating breakA unique and unmistakable taste, if you need the fuel to tackle the day, or ju.. 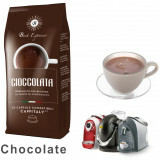 Turn your mornings into a velvety hot chocolate experienceEnjoy a moment of rich indulgence with Best Espresso Compatible Hot Chocolate Pods ( Made from the finest ingredients to create a rich, smooth flavour that ..
Indulge in an espresso with a small amount of steamed milk!Cortado shares characteristics with the Flat White and Macchiato. 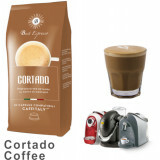 Indulge yourself with a very creamy coffee drink. 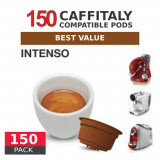 These pods are compatible with al..
A perfect way to indulge at any time! Mini-sized cappuccino, made even more delicious with its cream and chocolate flavour, is a match made in heaven. 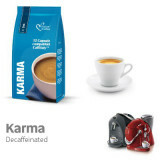 Perfect at anytime of the day for a great way to indulge i.. 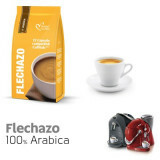 The authentic coffee experience.This a skillful crafted blend of 60% Arabica from Brazil and 40% of washed Robusta from Africa. 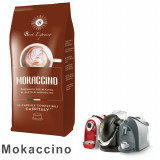 The result is a very creamy coffee with a unique pleasant taste.These s.. 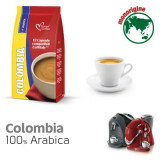 The authentic coffee experience.Blend of 100% Arabica Beans for a spectacular creamy and caffeine-free taste. 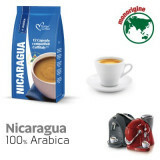 The process to remove the caffeine from the beans consist of steaming the coffee with water.These self-s.. The authentic coffee experience.Blend of 100% Arabica from Brazil and Colombia 100% for a delicate, creamy and slightly acidic coffee. It will be a real strike for of Arabica's coffee lovers!These self-selaed..
Intense and well-rounded coffee experience.Blend of 80% Robusta and 20% Arabica. Washed African Robusta combined with Brazilian Arabica beans to create a well-rounded intense taste.These self-sealed capsules ..